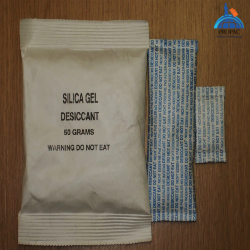 Silica gel is a desiccant, which means that it absorbs and holds onto water vapour from the surrounding air. Tyvek is a strong clean material that is tear resistant. Used properly it can help protect many household and professional items. Make up bag, bulk pet food, dried flowers or in your jewelry box to help stop tarnishing.